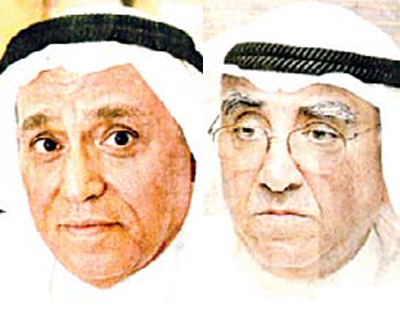 KUWAIT CITY, July 12: Kuwait will be a major player in the implementation of the Silk Road economic belt, which took off in 2006 in line with the vision of His Highness the Amir Sheikh Sabah Al-Ahmad Al-Sabah to transform Kuwait into a global financial and trade hub by 2035, and reflecting recent ambitious prospects for reviving the historic initiative, reports Annahar daily. The long-term vision of China, its role and importance, coupled with the need to achieve strategic partnerships, attained a long and satisfying path in bringing together giant projects in the framework of bilateral cooperation with Kuwait. 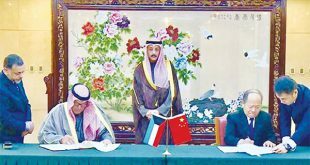 Some expert Kuwaiti economists affirmed the signing of several fundamental agreements between Kuwait and China ensures and strengthens the institutional mechanisms on an economic basis. It also stresses joint effort of leaders of the two countries to strengthen and upgrade the agreements to serve the interests of their peoples in all fields. This is a unique example of the distinguished bilateral relations based on strategic partnership, which strongly points to a promising future in the framework of understanding attitudes and directions. 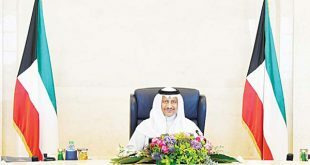 They stressed that the project of reviving the Silk Road will restore Kuwait to its leading role in the commercial and economic fields within the region, especially as it enjoys a distinguished geographical location. They found a consensus between the vision of Kuwait (2035) and China’s “Belt and Road Initiative” to revive the Silk Road, in addition to creating a vibrant trade region to serve other countries via land and sea, which will contribute to prosperity of the global economy. 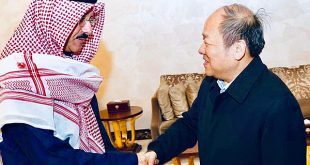 They noted the senior Chinese officials are showing full and clear cooperation on ways to benefit from the Kuwaiti islands and economic feasibility of Kuwait and the region. 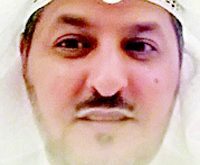 Economist Qais Al-Ghanim believes that Kuwait is a small country, while China is big. 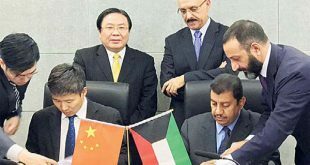 It is certain the partnership with China will yield returns to Kuwait in terms of funds, expertise and economic growth — especially in light of the economic slowdown in the region. He stressed that Kuwait needs investment opportunities and partnership with China to enhance opportunities and investments in Kuwait and rest of the Gulf States. 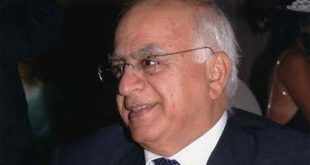 He pointed to Kuwait signing contracts and agreements with China for development projects in the north, which covers the Silk Road. 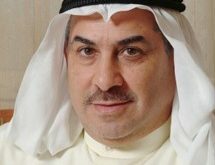 He stressed “there is no doubt that Kuwait is now ready for investment, especially after establishment of the Mubarak Port represented as a strategic location vital for international commercial exchange”. 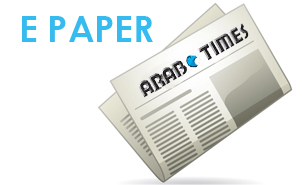 Al-Ghanim added “China is developing its international diplomatic and economic relations through the Silk Road to link Europe with Asia until their trains arrive at London. 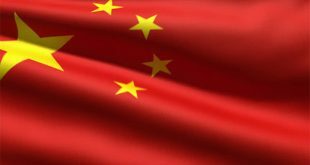 This confirms the insistence of China’s move to link its international trade with the world through this mammoth project that will reduce commercial flights and contribute to reduce cost and their timelines”. 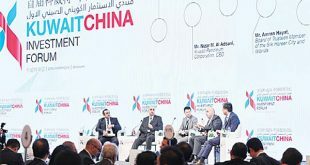 In this context, businessman Abdul Salam Al-Awadhi stated China is the second largest economy in the world after the United States of America, and there is no doubt that partnership with them will yield significant progress for small and emerging countries. “We need this economic giant to develop the island projects and invest in cities in the north, in addition to the development of ports and construction of the Silk Road. 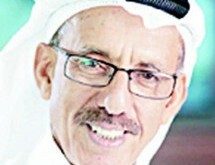 Board Chairman of Global Foundations Corporation Meshari Al-Marshad said the economic belt initiative (of the Land Silk Road and Sea Silk Road is in line with the vision of His Highness the Amir Sheikh Sabah Al-Ahmad Al-Sabah to transform Kuwait into a global financial and trade hub in 2035), and reflecting new and ambitious prospects for reviving the historic Silk Road. 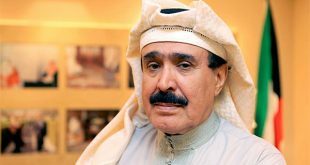 He added these development projects will be a great addition to the partnership between public and private sectors in achieving the vision of His Highness the Amir Sheikh Sabah Al-Ahmad Al-Jaber Al-Sabah to transform Kuwait to a financial and commercial hub in the northern Arabian Gulf — extending its activities to Asia and Europe. 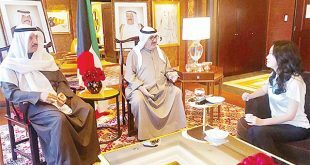 He pointed out that “HH the Amir has a clear vision to transform Kuwait to a financial, commercial and service hub through the establishment of one of the largest international ports in the region based on transit trade in the past. 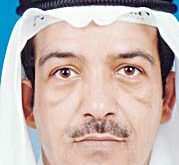 Kuwait is moving with China in a clear line based on its commitment to working with senior Chinese officials coupled with conviction and full confidence in the strategic relations, historical friendship, and the importance of gigantic projects China is looking forward to participate in and contribute its full potential.